Adolescence is a time in life span when individuals realizewho they are and what they would like to be. It's time to forge an identity, career choices to be made, meaningful relationships to be formed, sustained technological advances tackled, attitudes and roles chiseled. Isn't this process of transition fraught with trials and tribulations? Information overload, mixed messages from media, press, teachers, family and from society at large add to the confusing scenario of the assimilating young mind. It is, therefore, very important that educational institutes expand their role by providing mental health services to deal with factors interfering with studies. Healthy development of individuals depends on several interactive and complex factors. These include the socioeconomic circumstances in which they are born, the environment in which they grow up, their inter-personal relationships within the family, peer group pressure, values of the community in which they live and the opportunities for education and employment. Despite the multitude of factors which can influence the development of adolescents, their mental well-being is crucial. During transition, for example in adolescence they must learn how to cope with psychological stress, handle peer pressure, deal with their emotions, resolve conflicts, build bridges with friends and family, develop self-confidence, safeguard themselves from high pressure marketing strategies, particularly of the alcohol industry, as well as cope with other stresses like academic competition and a hankering for material gains. In addition to these common developmental challenges, even by conservative estimates, 10% of all adolescents have mental disturbances with serious associated impairments at some time during their childhood. These disturbances include learning problems, physical health problems, and substance abuse (Rae Grant NI, 1991). Furthermore, some of them suffer from serious mental illnesses such as severe depression, suicidal thoughts, psychosis, serious attention problems or obsessive-compulsive disorder (Institute of Medicine, National Academy of Sciences, 1989)1. Therefore, with increasing technological complexity, the burden on youth in terms of societal adversities is increasing at an unprecedented rate.There is a need to look beyond symptom relief and focus on recognizing parameters and attitudes that can be taken care of at the prevention level itself.Therefore, there is a need to understand the concept of resilience. Resilience means the ability of a person to recover readily from illness, depression, adversity, etc. .Emerging trends in school health and wellbeing opine that it as a set of inner resources, social competencies, and cultural strategies that permit individuals to not only survive, but recover, or even thrive after stressful events, but also to draw from the experience to enhance subsequent functioning. Another approach towards this concept of resilience is that it is a learned mechanism. In this context it is defined as typical development in the face of adverse circumstances that propel others to deleterious outcomes. 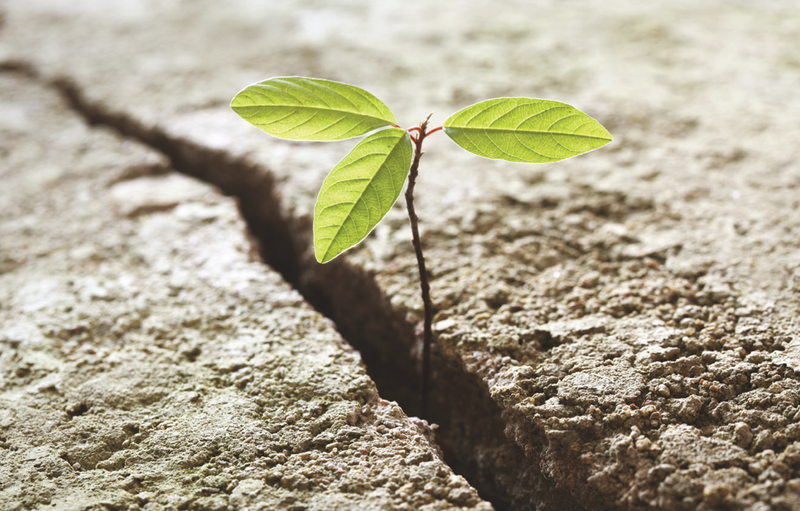 It's possible that some people may be more biologically predis-posed toward being resilient. The uplifting part is that resilience is not a trait that people either have or do not have - it involves thoughts, beliefs, attitudes and behaviours that can be learned and developed. The good news is that resilience skills can be learned! However, being resilient does not mean that adolescents won't experience difficulty or distress. The latter are common when we have suffered major trauma or personal loss. Resilience can be promoted by (a) Be loving and caring (b)Fostering positive attitudes (c)Nurturing positive emotions (d)Reinforcing emotional intelligence (e)Developing their competence (f)Promoting positive social connections (g)Encouraging helping others (h)Reducing stress (i) Ensuring healthy habits (j) Good prenatal caring which encourages resilience. This can be achieved through system wide changes such as creating atmosphere that promotes connectedness, security, personal value, and competence and incorporate resilience skills in building the school curriculum and teacher strategies. I) The institutions of learning should provide the following"
*Encourage family members to be involved. Communicate regularly with family members regarding positive behaviors/academic performance. *Consciously care and connect with students regularly and positively. *Promote sharing of responsibilities, service to others, required helpfulness. *Norms, rules, and policies are communicated clearly and regularly. *Involve students in rule setting and consequences as appropriate. *Provide ongoing instruction in life skills appropriate to developmental tasks such as goal setting, identifying and expressing positive and negative feelings. *Integrate and support the following skills:Assertiveness, healthy conflict resolution, cooperation, good decision making and effective problem solving. *Model and discuss healthy stress management techniques. *Provide unconditional positive regard and encouragement. *Remark on strengths and coping mechanisms. *Provide a variety of ways for students to be recognized and rewarded. *Reward random acts of kindness. *Focus on both extrinsic and intrinsic motivation based on age and interest. *Place responsibility for learning on the students through active participation. *Communicate that the schoolwork is important, you are confident it can be done, and you will not give up on it. *Allow and encourage students to participate in decision making. *Provide opportunities to help other students through cooperative learning, peer helping or providing service to others. *Support students in taking on new challenges in and outside of the classroom. In summary, Resilience is essential to success in school years and in building future generation of learners. Contemporary research has highlighted multiple risk factors like poverty, stress during all stages of children's development, etc. that have detrimental outcomes on education, vocation, psychological and emotional adjustment. These have a long-term impact into adult years. Such reports and data raise solemn concerns about the future of youth considering their functioning today. The core of this developmental perspective lies in the competencies of the 'whole child' not their disorders and deficiencies. Therefore, the resilience model should focus on students and the tasks they must become proficient at, at each age. The model delineates that the interaction of the children with their environment forms the proper context for their over-all development. Also the adults in the life of children, who are capable of contributing to fostering growth of resilience, must be brought into practice.